Our son had his 6th birthday at a Karate place. 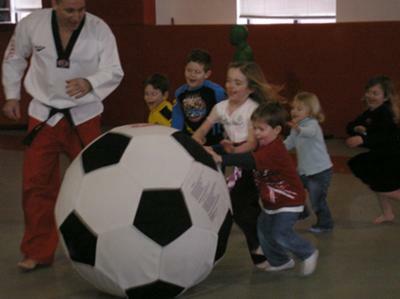 After a karate lesson and playing soccer with a giant soccer ball, we ate and opened presents in their party room. The kids loved it.